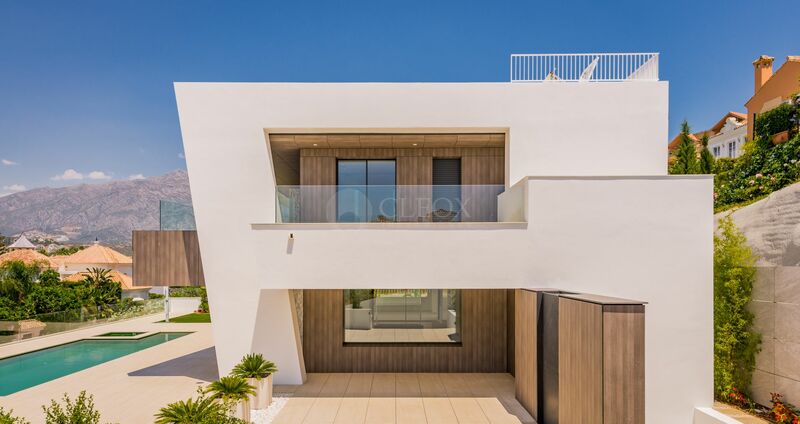 Spectacular modern luxury villa for sale in Marbella, newly built, in a privileged location in Nueva Andalucia, in the heart of the Golf Valley with fantastic views to the golf course. 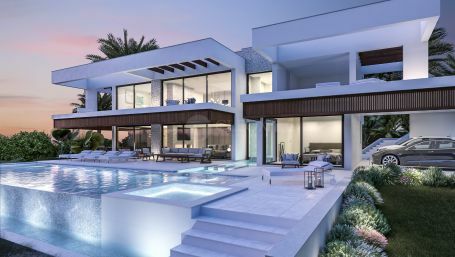 The villa has 3 levels and 5 bedrooms in total. On the ground floor is the entrance hall that leads to the spacious living room, fantastic independent with double-height dining room, and to the fully equipped open plan kitchen. All the rooms in this level have large windows and access to the terrace and pool. 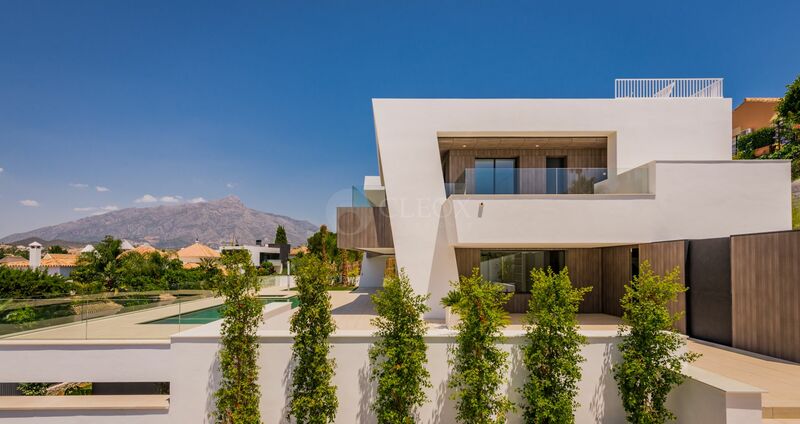 On the first floor there is a magnificent master bedroom en-suite with bath, large dressing room and private terrace from where you can appreciate the views over the golf course of and La Concha mountain. On the other side of this level there are 2 other bedrooms also en-suite, both with walk-in closet and terrace. In the basement there is a garage with capacity for 3 large cars, 2 large bedrooms with bathrooms en-suite with natural light and exit to the garden/patio, a large storage room of more than 80m2 ideal for gym, game-room or cinema-room. 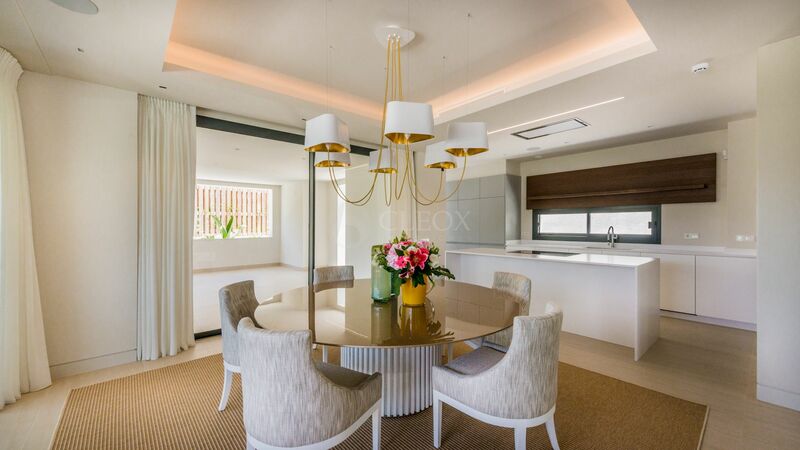 The high standard qualities will make this house a true luxury. With an elevator that connects the 3 levels, wooden floors in bedrooms, fully equipped kitchen with appliances Neff, underfloor heating throughout, fireplace, air conditioning heat and cold, heated pool, electric blinds in bedrooms, safety glazing, alarm, smoke and water detectors, home automation system. 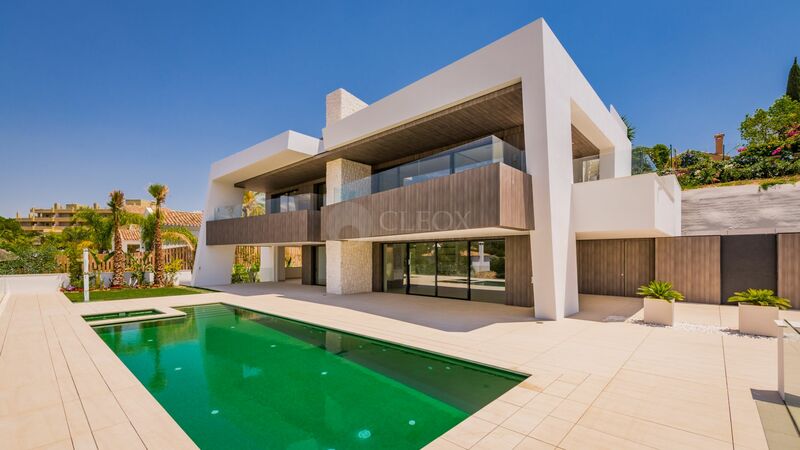 Please, send me more information about ref LUX0242 in Nueva Andalucia, Marbella or similar properties.